AstraZeneca has appealed to the government to put ‘urgent transitional measures’ in place to make sure patients can access innovative cancer treatments – after its ovarian cancer drug Lynparza was knocked back by NICE. In its preliminary guidance on Lynparza (olaparib) for ovarian, fallopian tube and peritoneal cancer, the UK healthcare watchdog found that for people who have BRCA1 or BRCA2 mutations whose cancer has already responded to treatment with second-line or subsequent platinum-based chemotherapy, “the price is too high for the benefit it may provide to patients”. In response AstraZeneca said it was ‘extremely disappointed’ with the decision, and said the UK risked falling behind Europe’s drug approval mechanisms. 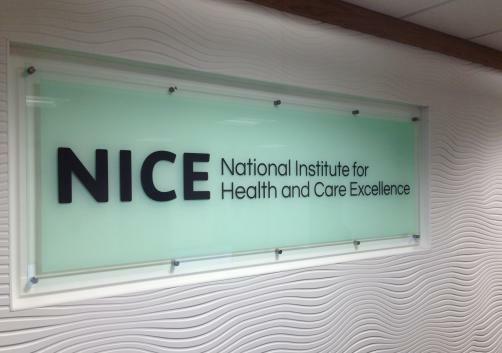 In a statement the UK firm says: “The draft recommendation by NICE sharpens the contrast between the EMA’s approach to accelerating access to personalised medicines, and the approach of NICE and the Cancer Drugs Fund. “Today’s recommendation is also inconsistent with the ambition of the UK government’s life sciences strategy to use genomic research data to stratify patient populations and produce more targeted therapies. “While AstraZeneca supports the government's Accelerated Access to Medicines Review and NHS England's proposals for a more sustainable, reformed CDF, the resulting proposals will not be implemented until next year at the earliest. In Phase II trials Lynparza extended the time to disease progression from 4.3 months to 11.2 months – the largest ever effect for this outcome in women with ovarian cancer. But NICE cited the relative immaturity of the long-term survival data for Lynparza as a reason for turning it down, as well as the likelihood that the firm had “probably overestimated the overall survival gain associated with olaparib”. And the technology appraisal committee felt that the cost of providing Lynparza “was likely to be considerably above the normal range considered to be a cost-effective use of NHS resources”. It added that AstraZeneca’s estimate of £50,000 per quality-adjusted life year compared to routine surveillance had excluded the cost of testing people for the BRCA1 and BRCA2 mutations, and therefore was likely to be an underestimate. Professor Paul Workman, chief executive of The Institute of Cancer Research – which carried out 20 years of research underpinning the development of Lynparza – says the delay would prevent some 450 women a year from being able to access treatment with the drug. “This decision highlights how the current system of drug evaluation and pricing needs reform – in particular to reward the development of innovative drugs that address unmet need in cancer treatment,” he adds. “We are pleased that NICE considered earlier Phase II trial data as part of this appraisal, as opposed to waiting for the results of larger phase III trials which may take many years. But we’d like to see NICE going further and having the flexibility to approve drugs before overall survival data are available.